Cheslin Kolbe will become Springbok #911 should he take the field as a substitute. There are 158 caps in the backline with 249 caps amongst the forwards. On the bench there are a further 224 caps. The average caps per player in the backline are 23, the forwards 31 while the players on the bench average 28. The average age of the starting 15 is 27. Eben Etzebeth will play in his record 35th consecutive Castle Lager Rugby Championship Test match. Handré Pollard needs 17 points during the Castle Lager Rugby Championship to reach 100 points in the competition. Eben Etzebeth will play in his 70th Test match, while Steven Kitshoff will play in his 30th and Warren Whiteley in his 20th. It will be Francois Louw’s 60th Test match should he be used as a substitute. Suncorp Stadium, previously known as Brisbane Stadium and Lang Park, was built in the 1910s. In 1965 South Africa played their first Test at Lang Park against Australia. That match was won by Australia 12-8. Works commenced in 2001 on a new stadium at this ground and was completed in 2003. The stadium was renamed Suncorp Stadium, following a naming rights sponsorship deal. Saturday’s Test match against Australia will be the ninth Castle Lager Rugby Championship Test match at the Suncorp Stadium for the Springboks – the venue of South Africa’s worst-ever defeat against the Wallabies, and their biggest victory over the men in gold in Australia. On 15 July 2006, the Boks failed to score a point in a 49-0 defeat, which is also the third highest losing margin in Springbok history. On 7 September 2013, the Boks beat Australia by 38-12, with the home team failing to score a try in the Test. The Springboks’ Castle Lager Rugby Championship record at this stadium: P: 9; W: 1; L: 8; PF: 129; PA: 252; TF: 13; TA: 25; Average score: 14-28; Win%: 11%. South Africa’s only win at this stadium was 38-12 in 2013. However, South Africa’s overall record in the Castle Lager Rugby Championship against Australia is almost even: P: 47; W: 22; L: 22; D: 3; PF: 1,049; PA: 1,034; TF: 99; TA: 102; Average score: 22-22. Win%: 47%. South Africa’s overall record against Australia: P: 85; W: 46; L: 36; D: 3; PF: 1,657; PA: 1,498; TF: 193; TA: 153; Average score: 19-18. Win%: 54%. The referee is Glen Jackson of New Zealand. He was born on 23 October 1975 in Feilding in New Zealand. He made his Test debut as a referee on 10 November 2012 at Twickenham, in a Test between England and Fiji. 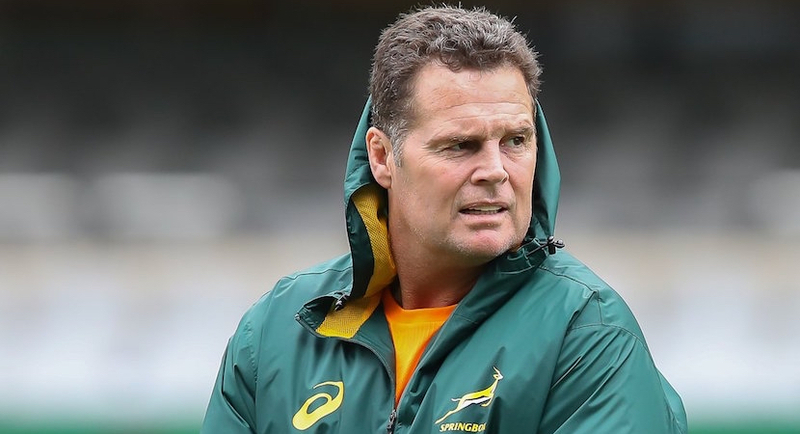 To date, Jackson has refereed 27 Test matches of which seven involved the Springboks. South Africa won five, drew one while the last Test against England at DHL Newlands was lost. The assistant referees are John Lacey of Ireland and Paul Williams of New Zealand. The TMO will be Glenn Newman of New Zealand.